The engine used in the 30 was a Buda gasoline engine with natural aspiration and liquid cooling. It had four cylinders with a compression ratio of 6:1, a bore and stroke of 3.4375 x 4.125 inches, and a displacement of 153.1ci. It ran 1650 rated RPMs and 540 rear RPMs. The Cockshutt 30 had a claimed Drawbar power of 21hp and a claimed PTO power of 28hp. 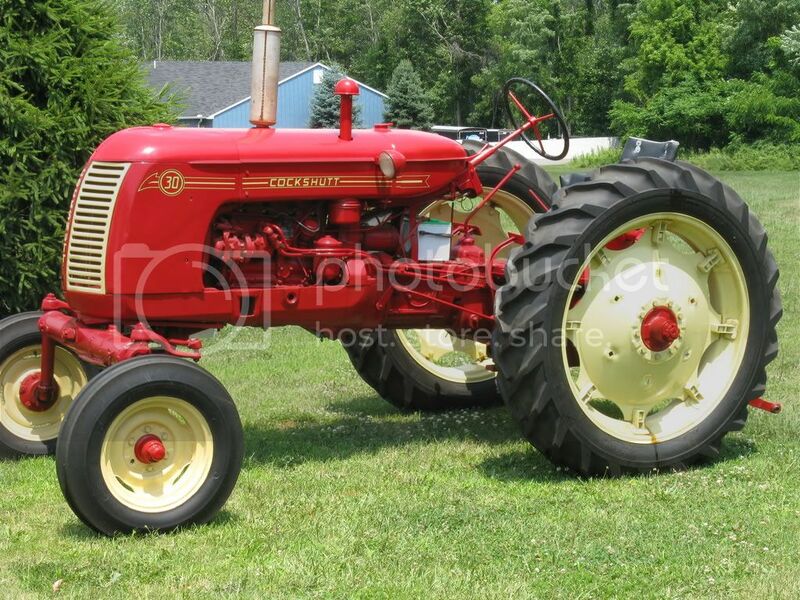 When tested, the Drawbar power was 27.25hp and the PTO power was 30.28hp. The maximum Belt power tested at 31.88hp, and the maximum Drawbar pull was 3,745 pounds. Can anyone tell me the correct settings of the main nozzle (main jet) and the air nozzle (idle adjusting needle) of a Cockshutt 30 with a zenith carburetor? I’m looking for a starter for a Cockshutt 30? Does anyone know know where I might get one? Looking for engine block for Cockshutt 30. Please email dobe32792@yahoo.com.